The annual “PumpkinFest,” a month-long fall harvest celebration, is back in Union this month. Visitors come from far and wide to join in the activities, with a featured event designed specifically to celebrate the pumpkin — the Annual Catapult Contest — on Saturday, Oct. 24, from noon to 3 p.m. The coming together of families, community and the bounty of the harvest all begins at Hunter Farms in Union. 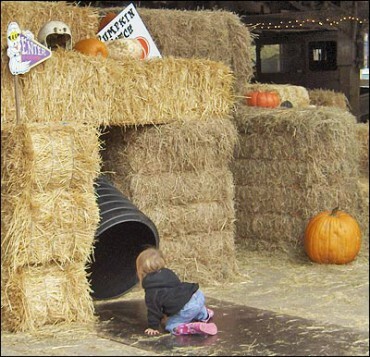 From 9 a.m. to 6 p.m. every day throughout October, the public is invited to visit the pumpkin patch, get lost in a corn or hay maze, take an old-fashioned hayride and visit the petting zoo. In addition, special activities are being offered by local merchants throughout the area, from free wine tasting every weekend at the Cameo Boutique and Wine Shop to specials at the Robin Hood Restaurant and Pub and Alderbrook Resort and Spa. 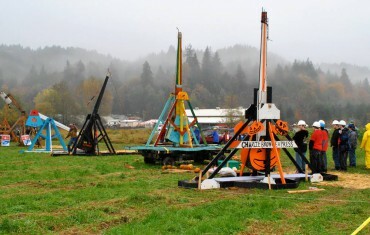 On Oct. 24, thousands are expected to attend the Catapult Contest at Hunter Farms. Independent teams and local high school teams will compete, including North Mason High School, Belfair; West Sound Technical Skills Center, Bremerton; and Rainier High School, Olympia. The teams work for months on wood-crafted pumpkin catapults and trebuchets for the competition of builder skill, accuracy and showmanship. The catapult contest starts at noon at the Hunter Farms pumpkin patch, rain or shine. This event is co-sponsored by the North Mason Chamber and the Union Tourism Association. For information, contact Nancy Johnson, Union Tourism Association, 206-604-5871 or Stephanie Rowland, North Mason Chamber, 360-275-4267, or go to www.visitunion.com.